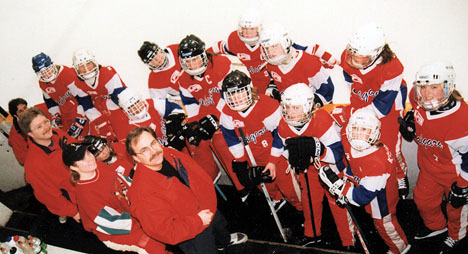 The CRRA began their "mentor program"
Cochrane, Carstairs, Beiseker, Airdrie, Rockyford, Strathmore, Indus and Cremona were welcomed into the Ringette Calgary league. 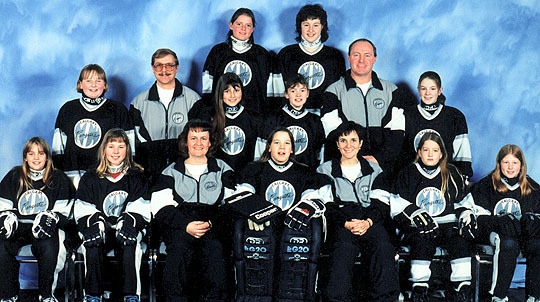 Laura Webb was presented with the "Ringette Alberta Board Award"
Properties held their annual "Icebreaker Dance"
Beth Veale presented the Gym Ringette course at the Public School System Phys Ed teachers meeting. 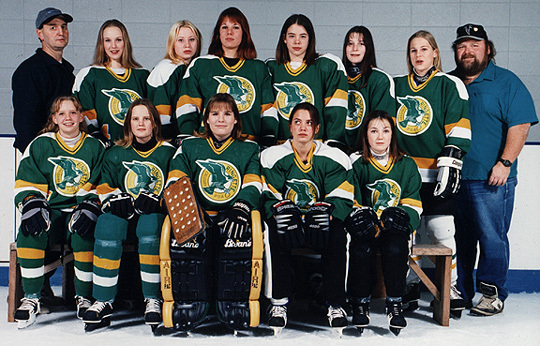 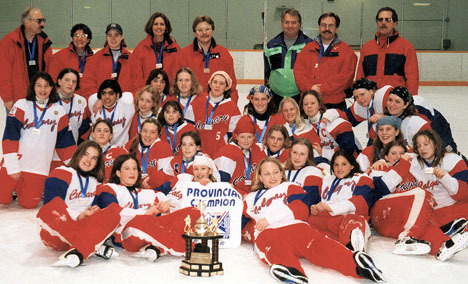 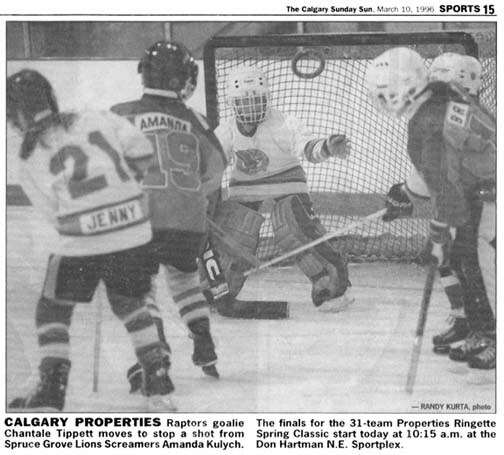 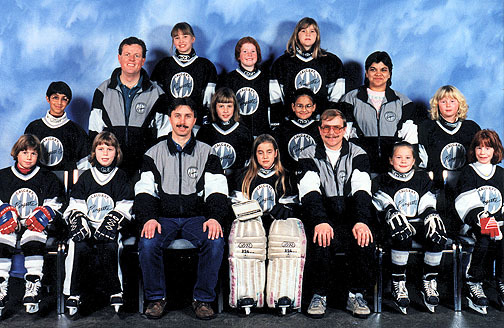 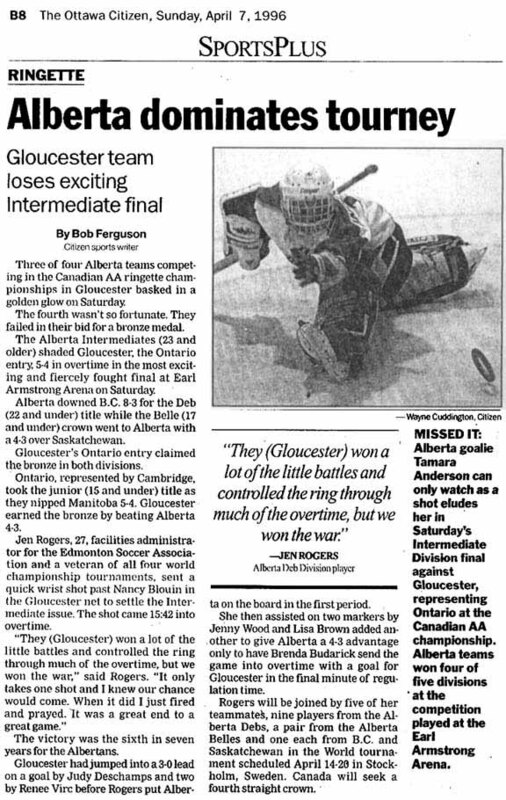 The Canadian Ringette Championships were held in Gloucester, ON. 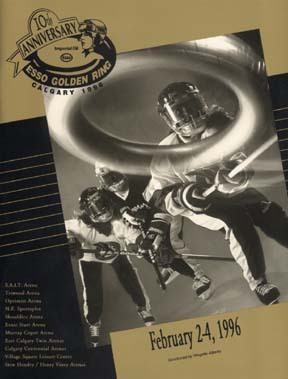 The 10th Anniversary Esso Golden Ring was held February 2-4, 1996 and hosted Bunny through Masters. 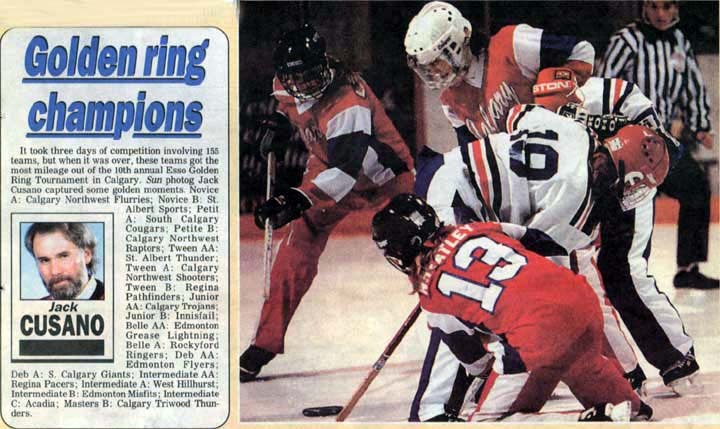 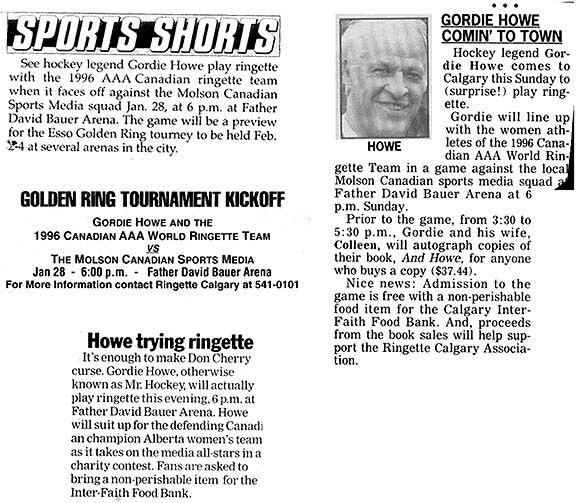 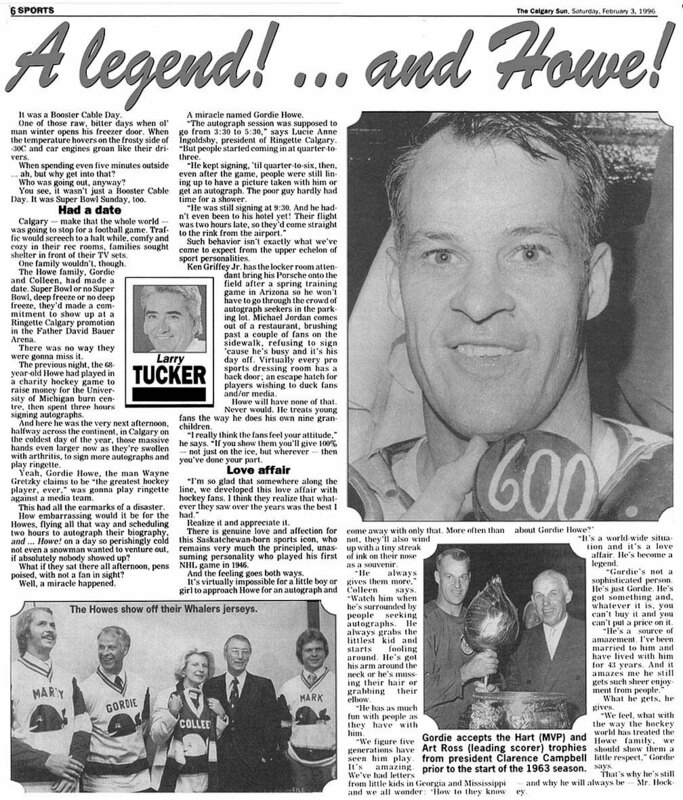 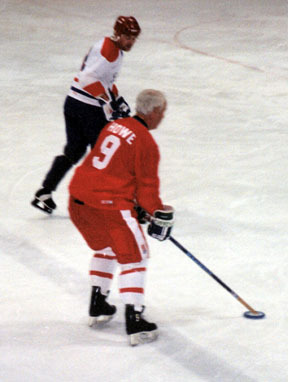 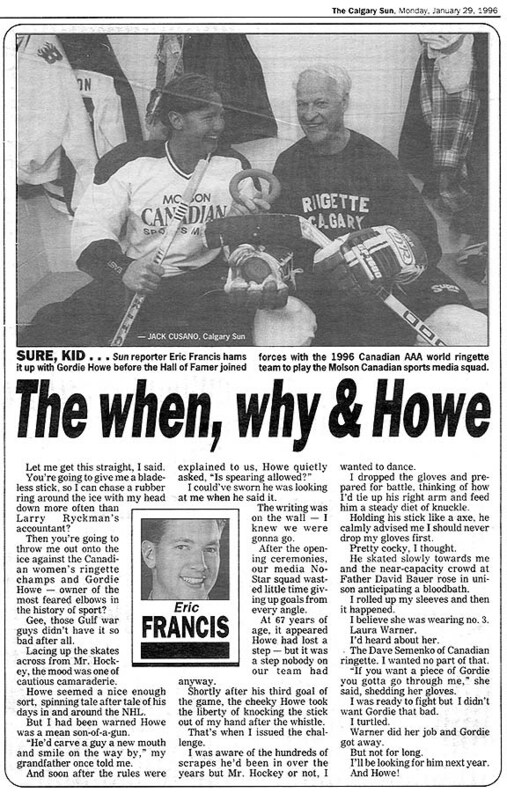 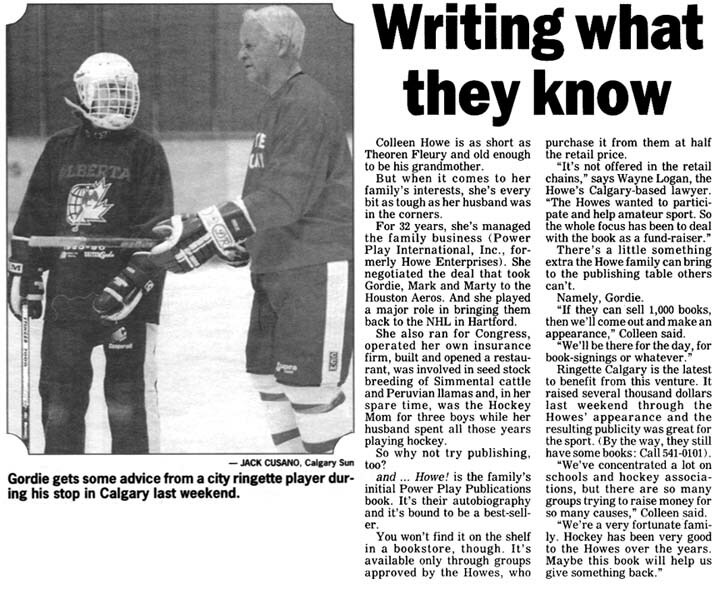 As a fundraiser and avenue for promoting our sport, Ringette Calgary purchased "AND HOWE" books to sell, and Gordie Howe attended and participated in the Esso Golden Ring media game. 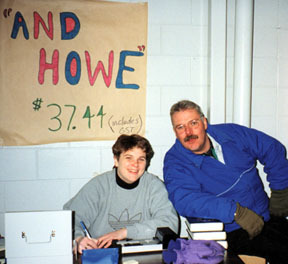 Ringette Calgary Board Members Laura Webb and Paul Peters work the table selling "And Howe" books.